Cystic acne also known as nodulocystic acne is the severest form of acne. 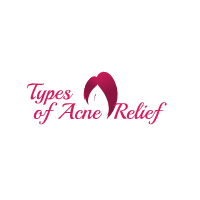 Cases of cystic acne are when deep, inflamed breakouts develop on the face and other parts of the body especially the back. The inflamed blemishes can grow to be as big as several centimeters across. Although “cystic” can be used to describe any inflamed acne, those who develop cysts because of the acne truly have cystic acne. As stated, these are the most severe type of acne blemish. The acne cysts feel like soft, fluid-filled lumps underneath the skin’s surface and can be painful. Those who suffer from nodulocystic acne develop nodules under their skin which are harder painful lumps, form deep underneath the skin and take a longer time to heal. Although anyone can get cystic acne, it is more common in teenage boys and younger men. It also seems to run in families, so chances are if your parents suffered from cystic acne then you will too. Cystic acne is caused by similar factors as other forms of acne such as overactive oil glands, an excess of dead skin cells within hair follicles or pores and a large number of acne-causing bacteria. Inflamed blemishes develop when the follicle wall is ruptured and the leaking infected material spreads into the skin. If this break happens near the surface of the skin, the blemish is minor and heals fairly quickly. If the break happens deeper into the skin, then the break will cause even more serious lesions. Nodules will develop when the contaminated material infects adjacent follicles and pores. Just like with nodules, cysts begin as a deep break in the pore wall. When this happens, a membrane will form around the infection within the skin. The thing about cystic acne is that it isn’t caused by things such as not washing your face, drinking soda or eating sweets. Nothing specifically causes cystic acne, it just happens. Nodule and cystic breakouts damage and destroy healthy skin tissue. Due to the damages they cause, it is likely that you will develop scars because of cystic acne. You should also avoid picking at the skin and attempting to pop the cysts because it can damage the skin, lead to severe scarring and even exacerbate and worsen the acne. Despite the health implications, not many seem to understand the social or mental implications as well. It is common for those who suffer from especially severe acne to feel like social outcasts due to the risk of ridicule. This can lead to severe depression or anger depending on the circumstances. The good news is that all forms of acne can be treated with different medicines and/or medical procedures. The most common drug used by doctors for cystic acne is oral antibiotics. These different antibiotics attack the present bacteria in the cysts to reduce the inflammation from within the skin. The most common of these medications are doxycycline or tetracycline which can be taken as capsules or pills, and as with other medication, these should be taken as recommended by your health professional. Oral contraceptives, which is fancy talk for birth control pills can be used to treat severe acne. The downsides to using oral contraceptives is that, a, they are only used for women obviously and b, they are only used as a secondary option to fighting acne. It’s more of a side effect if anything; however, doctors do sometimes prescribe it to be used along with other acne treatments such as topical retinoids or benzoyl peroxide. Another option is the use of corticosteroid injections. The cysts are injected a steroid that is specifically used to diminish the swelling within a few days. The greatest benefit about using this option is that this process is the best in preventing scarring because the cysts or nodules will dry up and disappear naturally. Isotretinoin and Accutane are two specific medical remedies that have been used to fight cystic acne for a while now. Isotretinoin is in reality, a Vitamin A pill that goes after the main causes of ace such as the development of clogged pores, the productions of excess oils, the swelling of the skin and the presence of bacteria. Accutane is a drug that is taken orally within a period of four to five months on a daily basis. It is said to be effective in preventing acne scarring on your skin. As with all medical drugs, there are side effects that you should talk to your doctor about especially if you are pregnant. There are a few steps and remedies that can be used to help combat cystic acne and may save you a doctor’s visit if it clears up significantly. Every day, you should wash your face twice with an antibacterial cleanser. This is important since bacteria can worsen cystic acne. It is also good practice to keep the area free of makeup, sweat, oil and bacteria. Using a deep-cleansing mask on the affected skin area is also a good step to take. Choose a mask that contains mud or citric acid as a combination of its ingredients since they are designed to dry out oily skin. Also apply a thin layer of acne treatment cream to the affected area. Try and find a cream that has benzoyl peroxide as an ingredient since it is commonly used in acne treatment medication. You can find different benzoyl peroxide creams in your local drug store or pharmacy. Creating an equal mix of baking soda and water will create a paste that will absorb excess oil and eliminate bacteria. You should apply the paste on your affected area and leave it there for about twenty minutes, and then rinse with warm water. Using heat from a hot compress on your cystic acne will help pull out the pus from under the skin. This also will reduce the swelling. The easiest way to achieve this is to take an ordinary washcloth and soak it in hot water, than hold it on the affected area for about ten minutes. It should probably go without saying but eating healthy is one of the easiest ways to help prevent any sort of acne. Getting as many vitamins and nutrients from natural foods as possible and drinking plenty of water each day helps your skin stay hydrated and healthy. Cystic laser treatment is a relatively new process that, as it says, uses a laser to help get rid of cystic acne. These laser treatments are precise and controlled by trained professionals. The lasers can be used not only to treat cystic acne but to get rid of the scarring as well. These treatments penetrate the deeper layers of the skin without bringing harm to the skin’s surface. There are several main types of laser treatments used. Bluelight laser therapy, which is FDA approved, uses an intense non-ultra violet blue light that kills the bacteria that causes cystic acne. ALA is a chemical applied to the skin to help it become more sensitive to light. An hour after the application, the combination of the chemical and the light therapy causes the treatment to become more effective and helps expose healthier layers of skin. Non-ablative laser are less intense lasers designed to work to beneath the skin’s surface which encourages skin regeneration without burning off the top layer of skin. They also encourage the production of collagen and help the skin tissue tighten itself which results in better looking skin. The downside to this treatment is that it does not remove any acne scarring. The last type of treatment is Erbium:Yag laser therapy. This treatment is a deep penetrating laser that produces energy that is easily absorbed by one’s own skin and does no noticeable damage to normal skin as well. This treatment has also been used in improving the appearance of scars. Besides the laser treatment, there are other surgical procedures to treat and get rid of cystic acne. One of such is called excision; which is where they literally cut out the cystic acne and drain out all the fluid produced. After the surgery, the doctor will use stitches or a skin graft to help reduce the visibility of the scarring from the acne and the surgery respectively. If you don’t want to go to the doctor, there are other lesser known home remedies such as the microdermabrasion kits. They can be found in plenty of places and use easy instructions to help you. This can decrease the severity but you may want to see a dermatologist as well, just in case. It is also possible to create at home skin peels using natural ingredients that fight bacteria and promote healthy skin. There are plenty of resources to use to find the best mixtures to make your own face peel to help reduce your mild and even cystic acne problems.